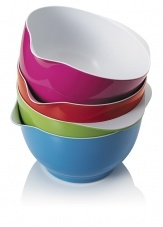 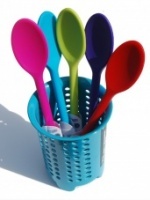 Colourful non-slip 20cm melamine mixing bowls by CKS Zeal. 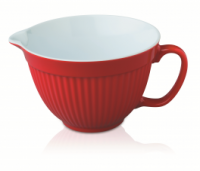 The mixing bowl has a lip on the side to assist holding when pouring the bowl and mixing. 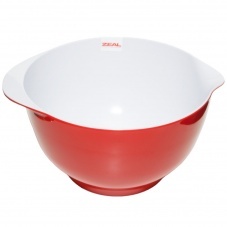 The non slip base should mean that the mixing bowl shouldn't slip when on the worksurface or table!